Fine 19th Cent English Shepherd's Lantern with horn windows. Fabulous condition, all window bars complete and working hinges to door etc. All four horn windows are intact. Minor hole to one only. Three original roof vents. Original loop handle. 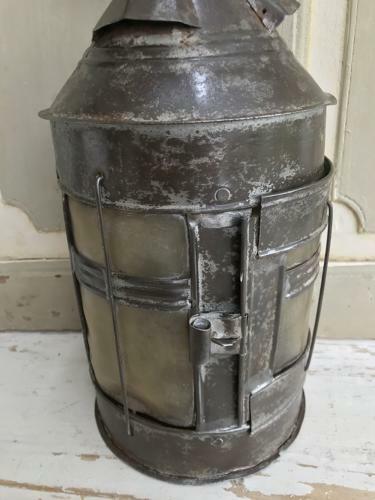 Overall a good English Shepherd's lantern ideal for any shepherding collector.